Hosting a fundraising event at an outdoor venue can not only take advantage of the beautiful summer weather but also provide a great environment for your guests to enjoy and get involved with your fundraising activities. Combining an outdoor component with your event schedule can create a new way to engage guests in your live and silent auctions. Pre-dinner drinks & champers outside, for example, are a great way to introduce everyone to your event and cause. This time can also be used to introduce your guests to the fundraising auction items and inform them on how they can participate or buy a ticket for pre-auction programs such as Helping Hand Group’s $10,000 Golden Hand Paddle (read more about this here). Our team has supported and hosted hundreds of events over the last two decades and events with an outdoor component have been unique, memorable and most importantly – successful! 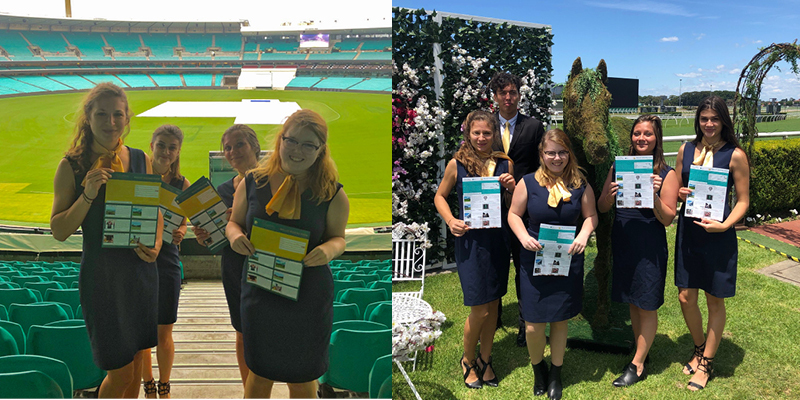 Pictured here is our team at the Sydney Cricket Grounds and the Royal Randwick Racecourse in Sydney. 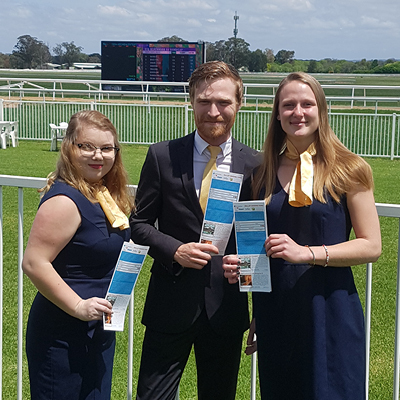 We supplied and displayed a series of fundraising auction items plus ran the Ballot Bidding (classic paper-and-pen silent auction) on behalf of the fundraising event organising team as a complement to their fundraising event. Contact our team to discuss ideas for outdoor venues in your area that could add a special touch to your next fundraising event. Helping Hand Group specialises in providing items for fundraising auctions including holiday packages, art, signed memorabilia and experience packages designed to help fundraising event teams maximise the effectiveness of silent and live auctions.